Samsung official chargers are quite expensive though, so I ordered 3 Chinese variaties and tested them! Since I’m enjoying making these videos I made a video with the review! In this video I show you the chargers, how much power they draw and if they work well or not. Apologies about the changing brightness, I clearly need to work on my camera settings a bit. As I said in the video, the amount of power going into the charger would vary quite a bit. This is the loss between the charger and the phone. I think the Samsung fake is worst in this because of the design, the coil is probably further away from the surface as with the others and that’s why it also doesn’t work with the case on it. Definitely not recommended, even at it’s cheap price! Besides the video I have done some non-scientific charging tests and from what I’ve been able to tell all the pads charge at about the same speed. Expect around 1Amp charging speeds. Best one to get is the 3 coil type or if you like it better, get the bamboo version. But I wouldn’t buy the cheap samsung knockoff, it didn’t work that well. Do these chargers consume any power while it is plugged in but not charging? Yes, most hover around 1 watt to be able to detect if a phone is trying to connect or not. Once one connects it ramps up the power. 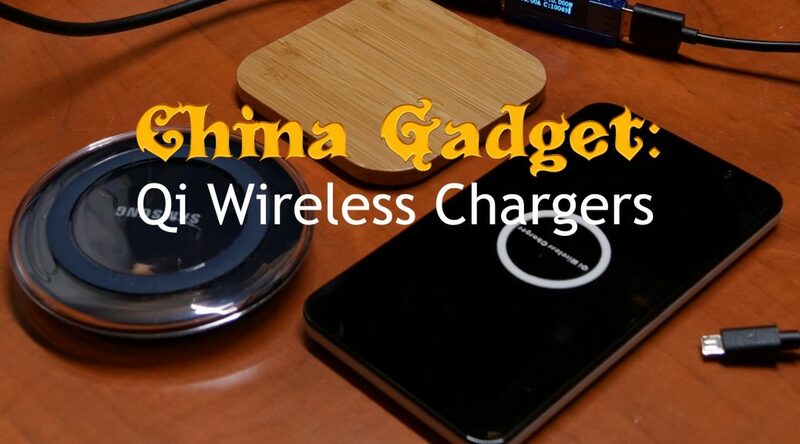 I don’t it’s possible to do wireless Qi charging without some standby power usage. You can use Ampere app to determine the actual energy received from the smartphone. Yes and no. The app can’t really measure the incoming current but uses some calculations and combined with the battery level to estimate a charge current. No very accurate at all really. That’s why I only use external measurements.